A classic Filipino favorite, Bibingka is a local rice cake cooked the traditional way on charcoal and banana leaves. 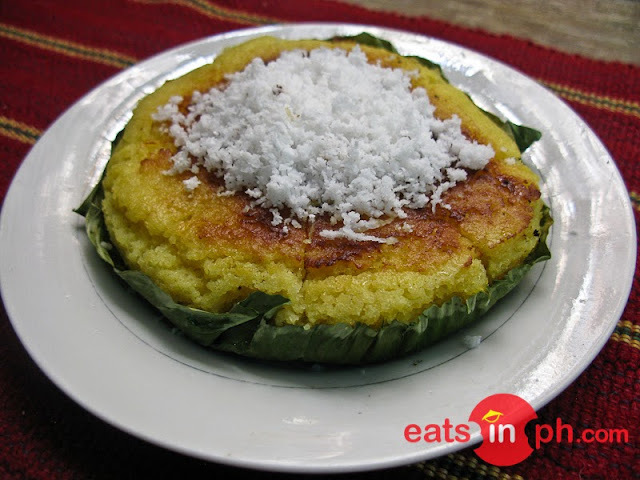 Chocolate de Batirol's bibingka is moist and soft and topped generously with grated coconut. This is another must-try when dining at Chocolate de Batirol inside Camp John Hay.